The main reason most people want to straighten their teeth is so that they can have confidence in their beautiful smile. Millions of people have improved their lives and health by getting their teeth corrected. Teeth straightening treatment can improve your bite, help with dental hygiene and may also help with sleep apnea. WHY SHOULD YOU CONSIDER TEETH STRAIGHTENING? Various bite problems from overbite to underbite can cause excessive wear of your teeth, possible jaw joint problems and even breathing issues. Crowded teeth, crooked teeth, overjet and overbite can all lead to swollen, red, bleeding gums because it is difficult to brush and floss around them. Straight teeth get fewer cavities, are less likely to have problems with discoloration, uneven wear and fractures. The gums are healthier too and therefore, you are less likely to develop gum disease. Straight teeth and healthy gums mean you can eat anything you want. Your teeth are less likely to be sensitive to heat or cold and you lower your risk of painful and expensive dental problems. There are well known studies that prove that people who floss daily will live an extra 7 years longer. Flossing is easy when you have room for the floss and not so fun when your teeth are crooked and crowded. A study done in 2009 and published in the American Journal of Cardiology showed that people with gum disease are 24 -35 percent more likely to suffer coronary artery disease. Straight teeth are significant factors in our mouth and physical health. Protruding (buck) teeth are easily broken from an accidental fall, sports related injury, car accidents and schoolyard brawls. During my 25 years in practice, I have seen this happen on many occasions to patients. By getting your teeth straight and your protruding teeth back in their designated place, you will find that you have a better chance of keeping them from injury. Of course, if you do play contact sports, we always recommend a mouth guard to protect your teeth during orthodontics and after they are perfectly straight. Until now, the alternatives to straighten teeth involved either long and expensive orthodontic treatments or expensive restorative treatments such as veneers or crowns. Even ultra-thin veneers involve heavy reduction of natural teeth when used to align crowding or protrusion. Your teeth can be straightened with traditional metallic braces, wires, or our modern Inman Aligner. The Inman Aligner is a cost-effective removable orthodontic appliance that moves teeth in a fraction of the time of other systems. It aligns crowded or protruding anterior teeth with two opposing spring-loaded aligner bars. This provides gentle but continuous pressure over a large range of movement. Surprisingly, this gentle pressure is the quickest way to move teeth, but it also makes treatment very safe and kind to teeth. People love the speed of treatment and it’s changing the face of dentistry as we know it. The average treatment time is only 4-16 weeks and now with concerns over the economy it’s a more justifiable expense. Only certified Inman Aligner dentists can provide them. Dr Bhavini Patel of Collins Precision Dental has achieved this certification, for options of teeth straightening Melbourne, please visit our Facebook page. Here at Collins Precision Dental we supply a few different treatments for teeth straightening Melbourne, that could help with your smile. We have obviously had the Inman Aligner which is cost effective, removable and also takes 4-16 weeks. We also have our Smile Makeover treatment which can be used to correct a number of cosmetic issues such as gaps or spaces between teeth. Smile makeovers can also correct discoloured teeth, chipped or crooked teeth, as well as gummy smiles. Some of several techniques used for smile makeovers include teeth-whitening, dental cosmetic bonding, orthodontics and ceramic veneers. If you are looking for healthy teeth, we provide preventative dentistry. 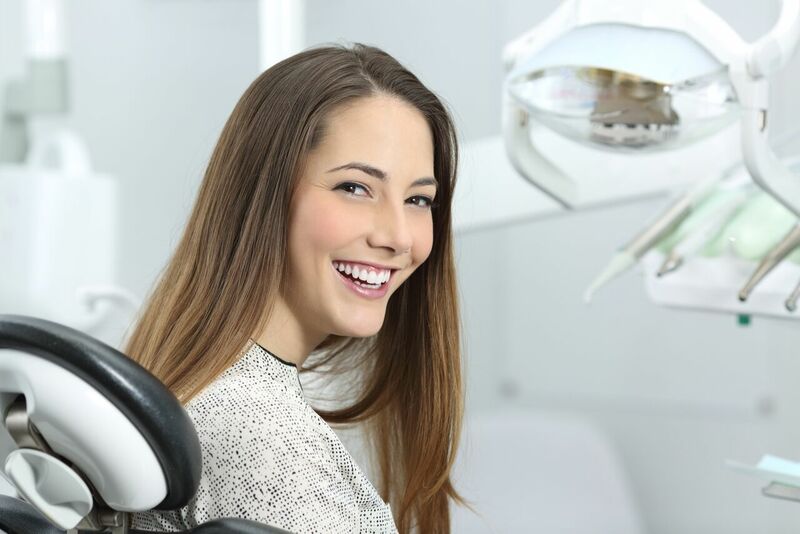 This modern approach to dentistry reduces the amount of dental treatment required to maintain a healthy mouth and helps keep your own teeth for a lifetime. Tooth loss primarily results from decay and gum disease. A proactive approach to the management of these causes therefore increases the opportunity for prevention. Our practice is trained to detect the early signs of disease using the latest technology, skills, and knowledge. Through recommended treatment and a maintenance plan, the combined efforts of the dentist, patient and hygienist can help prevent the need for treatment and so avoid the historical pattern of fillings and extractions. Come visit us at Collins Precision Dental for an appointment today to find the right orthodontic device for you. If you have any more questions about teeth straightening treatment in Melbourne, please contact us on our Facebook page, or call to book an appointment on (03) 9654 5705.